World Class 5 Bedrooms 6.1 bath custom Star Home w/large 4 car attached garage. Feel the welcoming warmth yet exquisite rustic feel. Large picturesque windows overlooking the 76 acre m/l beautiful fenced acres w/a 3 acre Lake. 5 Stall Horse Barn w/automatic waterers. All paddocks w/self waterers. Outdoor riding Arena. Magnificent 8′ knotty Alder doors/cabinets throughout. Hand cut native oak floor. Sitka Canadian logs. Large floor to ceiling rock fireplace in the living room w/custom imported Limestone rock Hearth. Please, send me more information on this property: MLS# 2153507 – $1,550,000 – 25145 Metcalf Road, Louisburg, KS 66053. 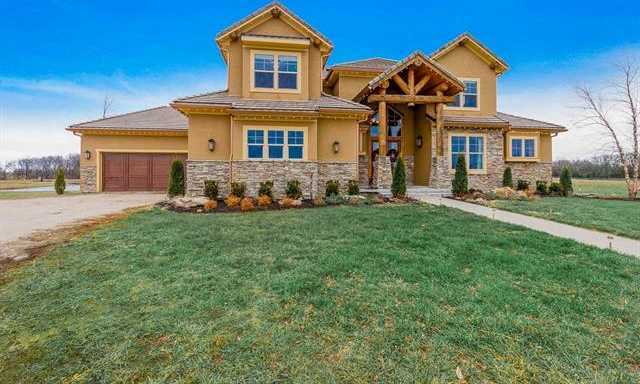 I would like to schedule a showing appointment for this property: MLS# 2153507 – $1,550,000 – 25145 Metcalf Road, Louisburg, KS 66053.